Happy families. The Maguires celebrate Lisa’s famous victory in Holland. Picture courtesy of Leo Vogelzang.She might have been handed No 13 at registration but the tag on Lisa Maguire’s bag was no bad omen as she became the first Irish player to win the prestigious European Ladies Individual Amateur Championship at wind-lashed Noordwijk in the Netherlands. It was another historic day for Irish golf following major championship victories for Rory McIlroy and Darren Clarke already this season as Lisa added the European title to her triumph in the Spanish International Ladies Amateur Championship in May. Lisa Maguire hits a driver off the fairway at the last en route to her historic victory. 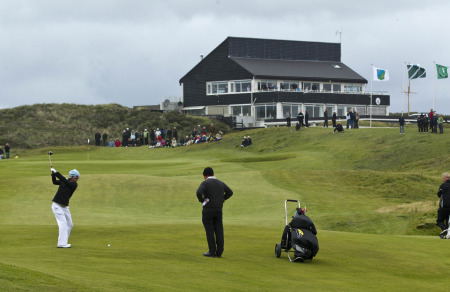 Picture courtesy of Leo VogelzangMeadow closed with round of 73 to jump from seventh to solo second as Denmark’s Charlotte Kring Lorentzen prevented Irish players from dominating the podium as she finished two shots ahead of Leona Maguire on 10 over. 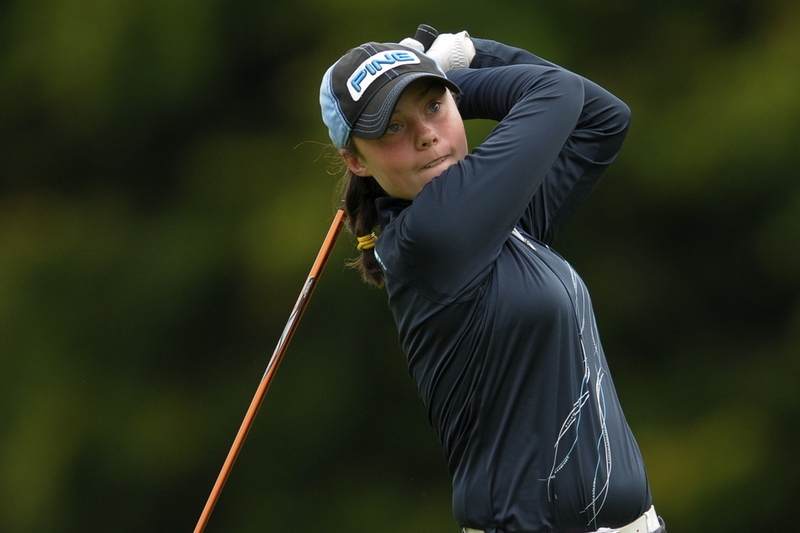 Danielle McVeigh secured a top 20 finish, a result that would have been hailed as a great success just a few years ago, when she closed with a 78. But the day belonged to Lisa who battled winds gusting up to 45 mph to become the first Irish winner in the 25-year history of the championship with a record total of 293. 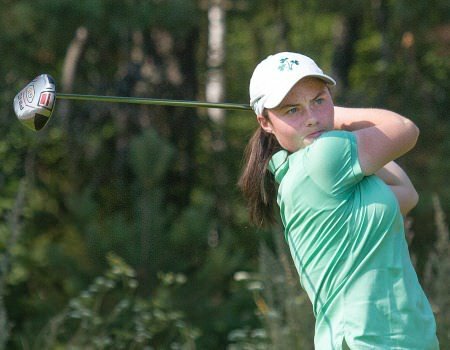 Slieve Russell’s Lisa Maguire beat France’s Emilie Alonso one up to claim the Spanish International Ladies Amateur Championship at Sherry Golf Jerez. Lisa Maguire in action at Aura Golf in Finland this week. 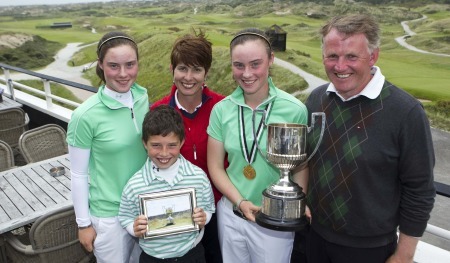 Slieve Russell’s Lisa Maguire finished joint sixth in the International European Ladies Amateur Championship in Finland.